Interested in participating in an informal scavenger hunt type of motorcycle rally? If you said yes, well then you’re in luck! Hammy, whom I met during the Void Rally, is hosting a rally this weekend via Facebook. 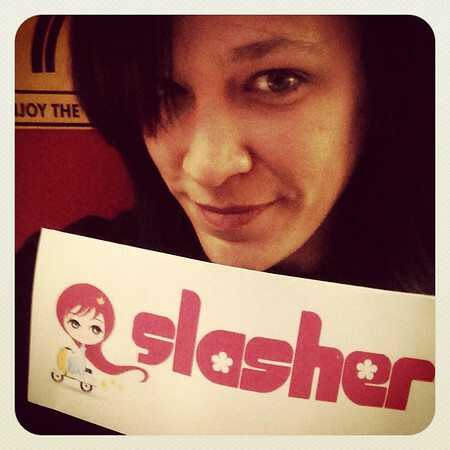 The SLASHER is a self-guided, Facebook-based motorcycle scavenger hunt that will take place completely during local daylight hours from Saturday Oct 27, 2012 to Sunday Oct 28, 2012. You can start and finish anywhere. There is no mileage minimum or cap, just some mandatory pictures. You can’t get much more loose than that. Ride around, take some pictures, be home for dinner. You can do as much or as little as you like. Sounds good, right? So what are the bonus categories? Please see the SLASHER event page for the full listing of rules regarding each category and to RSVP. You still have time today to pick up 5 points for uploading your mugshot! Though I’ll only be riding on Saturday, I’m looking forward to it. If nothing else it is an excuse to head out for a ride. What do you say? Are you in? With 4″ on white crap on the ground I am not in – HOWEVER, I will be in to see the photos – this sounds like a ton of fun! Ups 🙂 Count me in ! I just read the full description of the Slasher Event. Looks like fun – Count me in!